Wack wack sandwich snack??? Okay now it’s definitely awkward! I should really really stop with that sucky rhyming and concentrate on my strengths. Like eating sandwiches. Oh god let’s face it, this intro isn’t going to get any better! Let’s just skip the rest of the unnecessary prep talk and dive into the food of Monday this week! Monday morning was terrible. I actually slept an hour longer than planned and when I finally dragged my body down to the kitchen I was almost still asleep. I didn’t feel very well and also had realized that I had almost run out of my meds so I spontaneously decided to stay at home. I drowned the coffee and then hit my doctor’s office in order to get me a new prescription and also get my blood levels checked. High time to do so. When I cam home I had breakfast. 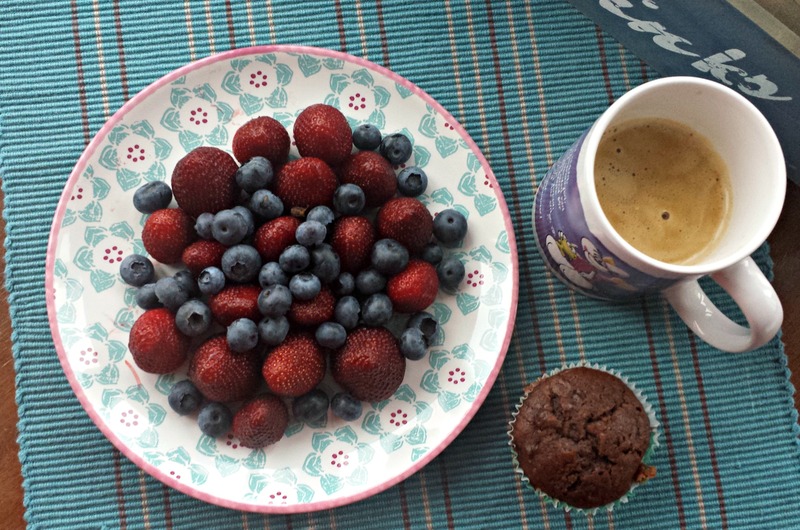 A banana chocolate muffin along strawberries and blueberries. Those are supposed to be the last local strawberries of the year but luckily the blueberry season only started! The strawberries were actually a little too ripe and very very sweet and I felt a little too sweet afterwards. So it didn’t take me long until I needed a salty snack. 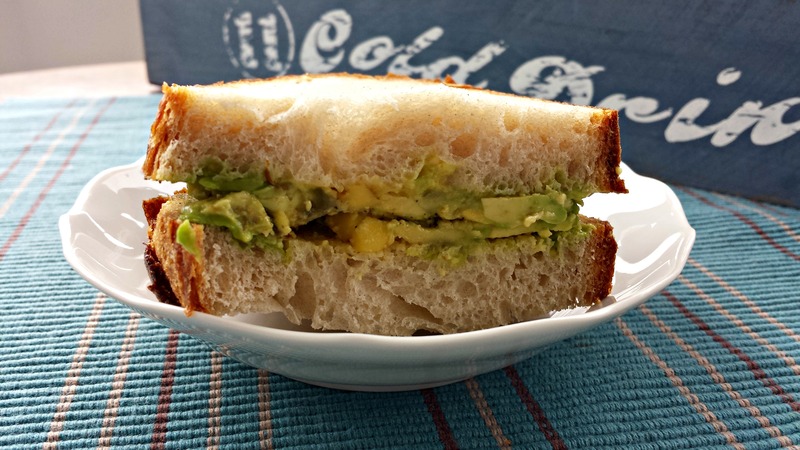 I opted for a slice of potato bread – total addiction here – with avocado, salt and pepper. It did the trick! I spent the morning in my apartment cleaning stuff, doing laundry, packing my suitcase for my trip to Berlin and catching up on some work. I still had a headache and didn’t feel it was advisable to do anything I should be really concentrated for. My head felt better in the afternoon. Maybe due to the 4 cups of coffee or 2 liters of water or whatever but I got some work done in the afternoon including scheduling more interviews for Tuesday. Yay. 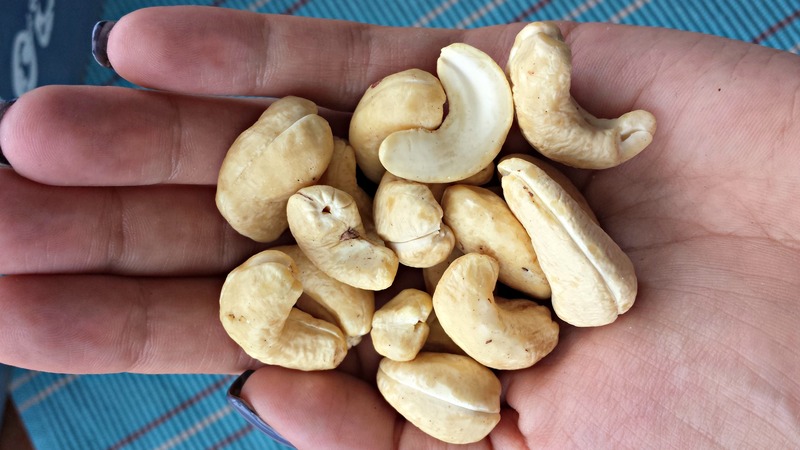 In between I chucked a handful of cashew nuts. 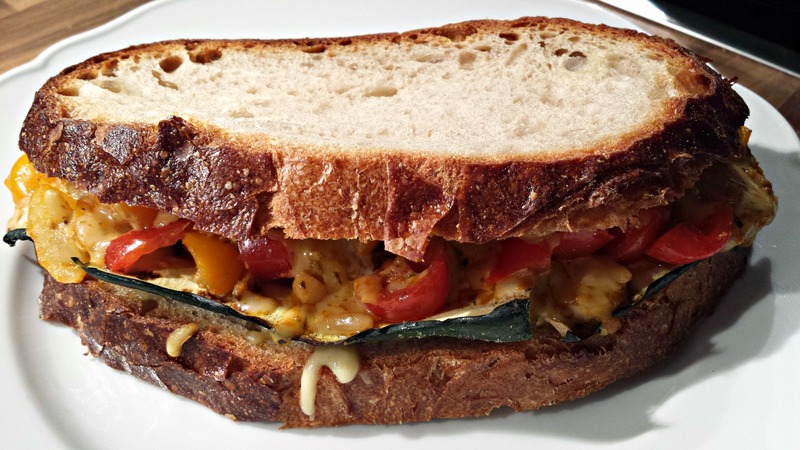 I didn’t feel much like spending time in the kitchen so I settled to make us those Grilled Veggie & Pesto Sandwiches! It’s such a good one. The pesto and cheese just is a match made in heaven. And I am not saying this just for the effect. Okay maybe a little. But it is like texture and taste perfection! This time I made it in the oven as it was definitely not BBQ weather on Monday. It was equally good, maybe even a bit better as the flipping part wasn’t necessary. Did I mention that I let one of the sandwiches fall down the grill last week whilst I tried to flip it? I could have kicked myself! I loosely interpreted the 5-seconds rule and ate it anyway. It didn’t hurt 😛 It would have hurt much more to trash it! Today I have to work my way through a few things and most probably go to Crossfit in the evening. Or maybe I just do the most time pressuring stuff and then make an early escape and go home where everything is nice and quiet and nothing ever happens! Great eats! 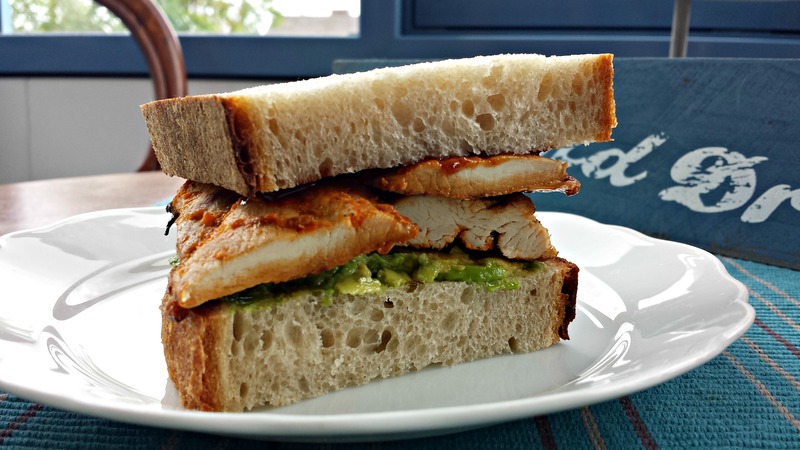 Your breakfast looked delish and you can’t go wrong with a sandwich!